The President of Newhaven Chamber of Commerce Mike Shorer and Mayor of Newhaven Cllr Paul Boswell cut the ribbon shortly after 11, welcoming residents, businesses and visitors to the new cafe and haberdashery shop at 3 Newhaven Square. Sara said, “It was a fantastic day, starting this business has been a dream of mine for many years and seeing it all come together today is so fulfilling and rewarding”. Sara was one of 15 individuals who received individual mentoring and support to start her business via LEAP – the Local Enterprise and Apprenticeship Platform. 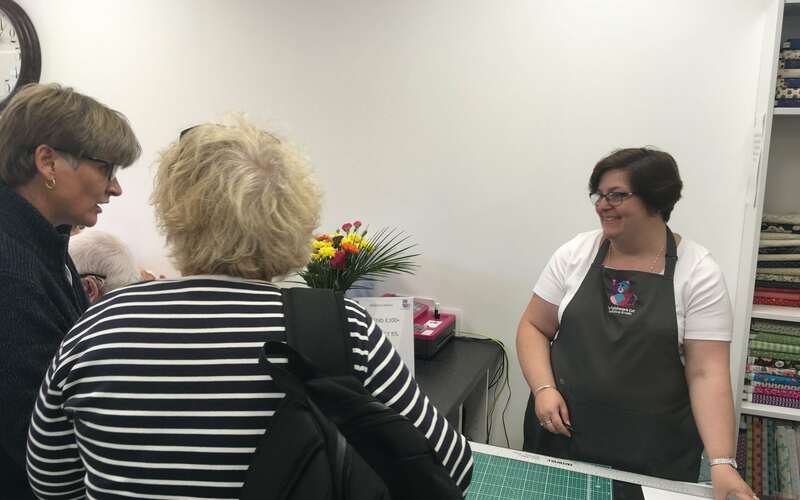 Fully funded by Lewes District Council and run by EDEAL Enterprise Agency, Sara attended a series of start up seminars and workshops as well as a mentor to help her develop her business plan and launch her business.